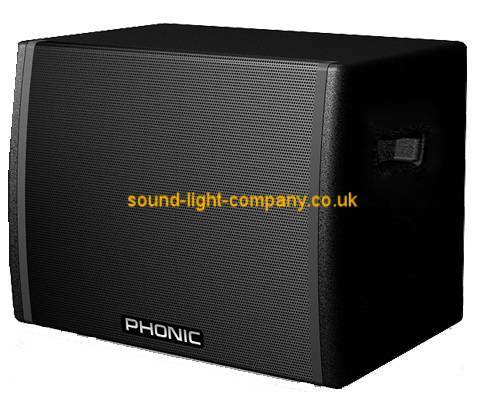 Phonics ClubX speaker line is exquisitely engineered for the consummate audio professional. The ClubX achieves its incredibly transparent sound and powerfully rich bass by using premium components including cast aluminum baskets, 3 inch and 4 inch flatwire voice coils, and 1.75 inch pure titanium membranes. Each ClubX component was designed from scratch to ensure that the unit performs in perfect harmony, rather than the sum of random parts. The ClubX enclosures are also highly durable - constructed with top-grade 15mm birch plywood, fortified with internal bracings, and shielded by three layers of rock-like scratch proof paint. Finally, the ClubX's twelve M8 suspension points, dual-angle pole mounts, rotatable 80?x50?horn, and ergonomically placed handles give the series versatility for installation and portability . So if you're looking for incredible sound quality, installation versatility, and portability for the most demanding club, lounge, DJ, and live venues, the ClubX is set to deliver in spades!